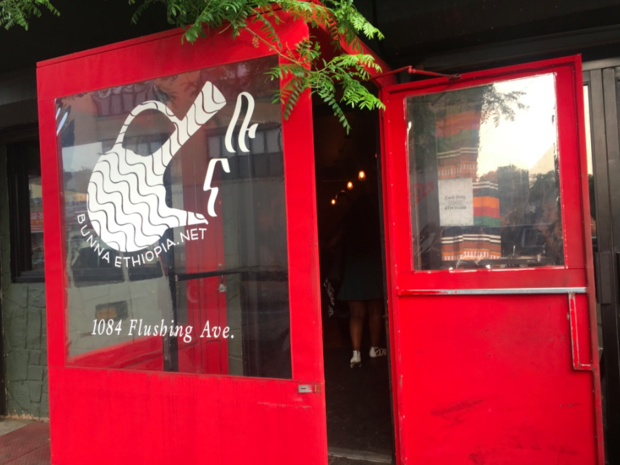 Head to Bunna for quality vegan Ethiopian food and quality time with friends. Bunna is open for lunch, brunch and dinner. Make your first visit for dinner and then come back for brunch to try their chickpea scramble, the excellent Ethiopian coffee and papaya avocado fruit salad. There’s often a wait after 8 pm, especially on Sundays. To pass the time, put down your number and get a drink at the Narrows or Brooklyn Cider House. If you arrive before 7pm, you’ll catch happy hour and get a table with no trouble. The food at Bunna is the start of a lowkey night with friends so consider it for a Friday, Sunday or a weeknight you’re looking to try something new. Dine as a party of three or four and make sure it’s people who you’re comfortable with. Ethiopian cuisine uses injera, the flat bread made from teff and barley flour, as a utensil, so you will be up close and personal with your fellow diners. If you have a vegan friend, it’s kind to invite them along but omnivores will be also very satisfied. 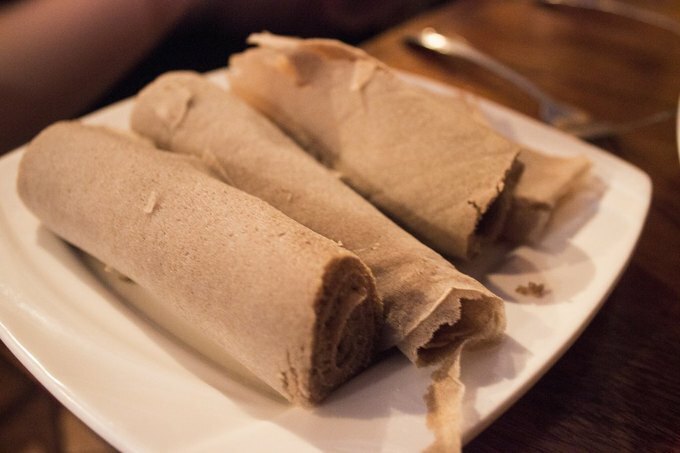 Bunna also offer gluten free injera if you request it a day in advance or basmati rice as a last minute gluten free option, so this is one restaurant to bring your friend who normally asks the waiter a lot of questions. The Ethiopian dishes are served family style. Berbere spice, a combination of chili powder, paprika, coriander, ginger, cardamom, fenugreek, and allspice, is a staple of the cuisine and gives many of the dishes a distinct red color and a kick. Bunna balances the plate with only a few spicy dishes – if you like more heat, order the house hot sauce. Get a taste of berbere spice with the Katenga appetizer, a piece of folded injera toasted with olive oil and berbere. It’s a little crisp and a little spicy and the perfect thing to tear at over drinks. Ask for extra napkins. 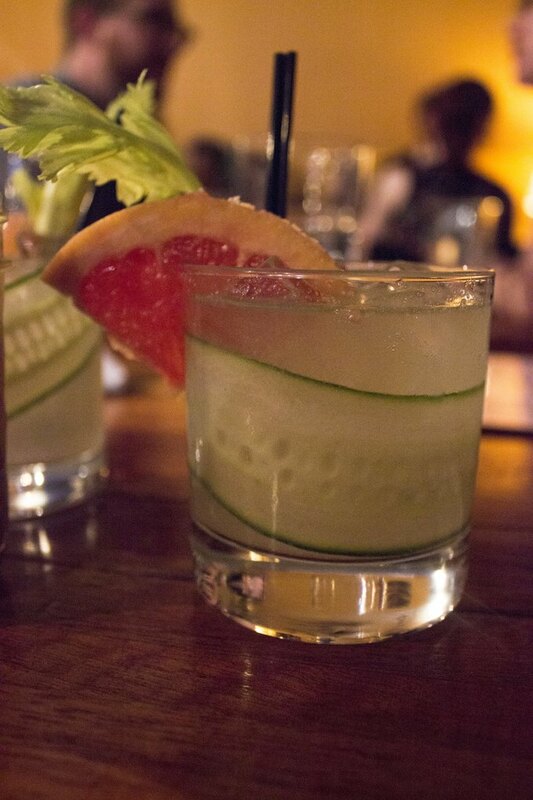 Drink one of their cocktails - the cucumber-gin Cucumba ($9, $2 off during Happy Hour) is particularly perfect for summer or order a bottle of wine. All of the options go well with the spice and you can sample the honey wine if you’re hesitant (it’s not too sweet but may be an acquired taste). The combinations are the best to try a variety of hot and cold dishes and you order them by the number of people in your party. Here’s the secret: Order for one fewer person than you have. Three people will be full with a combo for two, four people will be thrilled with the combo for three. Scale accordingly. Otherwise you will eat so much you’ll struggle to walk home and that’s not fun. 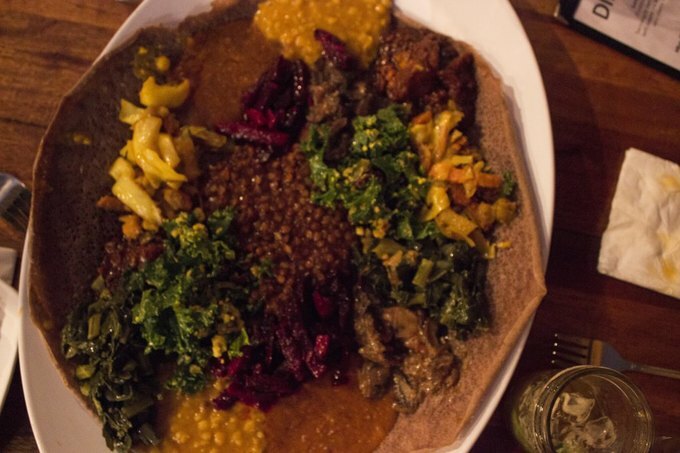 For $34 (the combination for two that feeds three), you’ll get a large shallow plate with nine colorful dishes on top of injera, with additional injera on the top. 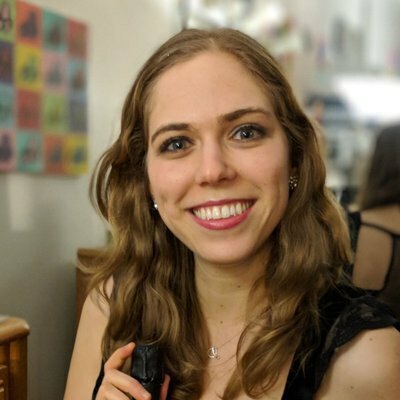 The cold dishes include a kale salad and beet and potato dish with berbere spices and the hot dishes include spicy stewed red lentils, creamy yellow split peas, a seasonal dish currently featuring kabocha squash, collard greens with ginger, garlic and herbs. Injera is your only utensil and you can get more for $1, which will probably be necessary. At the end of the night, you’ll leave Bunna excited about Ethiopian food and about your friends. Every time we eat here, the conversation is great, and that’s no accident. Next time you want to share food and share a piece of yourself, head to Bunna. Don’t fight over the last piece of injera. Mon - Fri: Lunch 12:00 pm - 4:00 p.m., Dinner 4:00 p.m. - 11:oo p.m.
Sat-Sun: Brunch 11:00 a.m. - 4:00 p.m., Dinner 5:00 p.m. - 11:00 p.m.
Ethiopian Food and Cocktails perfect for groups and dates.